• Software development in an embedded mobile telecoms environment, ideally 3G or LTE. • Develop both manual and automated tests to verify feature functionality. • Understand real-world Customer deployments and incorporate feedback into developed features. • Work closely with all of R&D and Product Management to jointly deliver high quality products and solutions. • Strong in C++ & C; knowledge in any scripting language will be added adavantage. • Enthusiastic, with a will to succeed. • Self-starter, with the tenacity to solve complex problems. • Able to work directly with customers and partners. • Demonstrate innovative and creative thinking. • The ability to take ownership and to drive issues to successful conclusion. 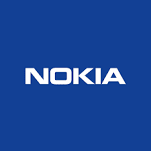 Nokia is a global leader in the technologies that connect people and things. With state-of-the-art software, hardware and services for any type of network, Nokia is uniquely positioned to help communication service providers, governments, and large enterprises deliver on the promise of 5G, the Cloud and the Internet of Things. Serving customers in over 100 countries, our research scientists and engineers continue to invent and accelerate new technologies that will increasingly transform the way people and things communicate and connect.